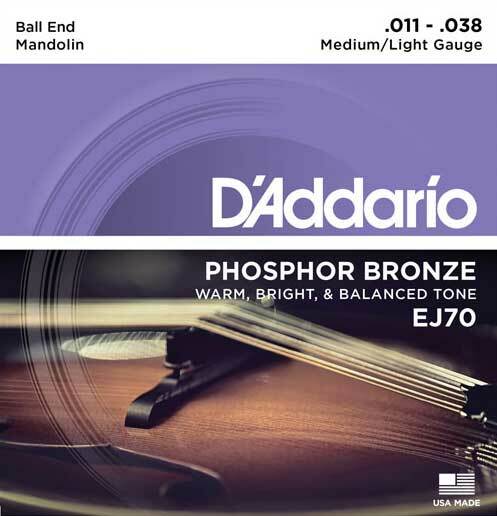 D'Addario EJ70 strings are designed for mandolins requiring ball end strings. Each string has a ball end instead of a loop end. The plain strings are plain steel and the wound strings are Phosphor Bronze. known for it's warm and bright acoustic tone.